Tesla owners can now take their chargers with them. After six years of selling High-Power Wall Connectors that buyers had to have hard-wired into their homes, Tesla is finally catching up with aftermarket suppliers of home charging stations by offering models with plugs that can be plugged into the wall. This simplifies installation, whether owners need to have an electrician install an appropriate 230-volt garage outlet or whether they already have one. The new charger can deliver up to 40 amps, or 9.6 kilowatts, for all Model S, Model X and Long Range Model 3s. Mid Range Model 3s and planned Standard Range cars will only charge at 32 amps, or 7.6 kw. That should be enough to replenish up to about 40 miles per hour of charging on long-range cars. That’s notably slower than Tesla’s standard Wall Connector, which can operate at up to 80 amps if the house they’re connected to has enough juice to support that. 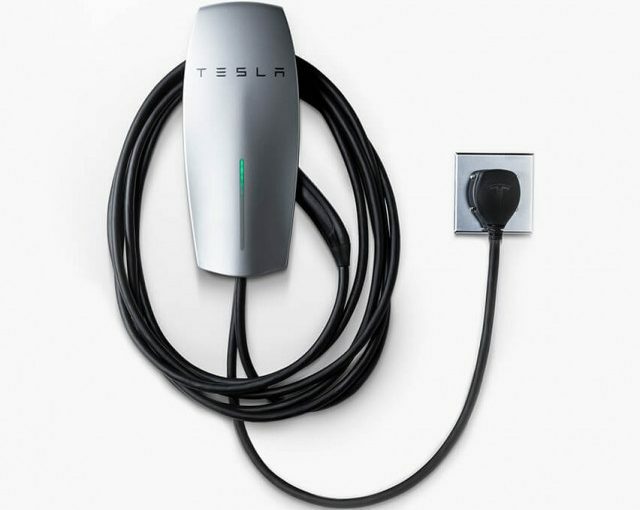 The Tesla charger uses a four-pin NEMA 14-50 wall plug, similar to other 40-amp EVSE wall chargers. The advantage is that drivers can pull the charger off the wall and take it with them for faster charging on trips—as long as they’re staying someplace that has the requisite 14-50 wall plug. Such plugs are commonly used for electric ranges and shore power for large recreational vehicles. More practically, it also makes it easier to take the charger along when owners move, rather than start over with a new setup. Electrical code in most jurisdictions in the U.S. requires outdoor charging stations to be hard-wired, so the new plug-in wall connector can only be used inside a garage. Teslas also come with a portable 110-volt charge-cord, which can plug into any outlet, but can take days to fully charge a Tesla’s big battery. 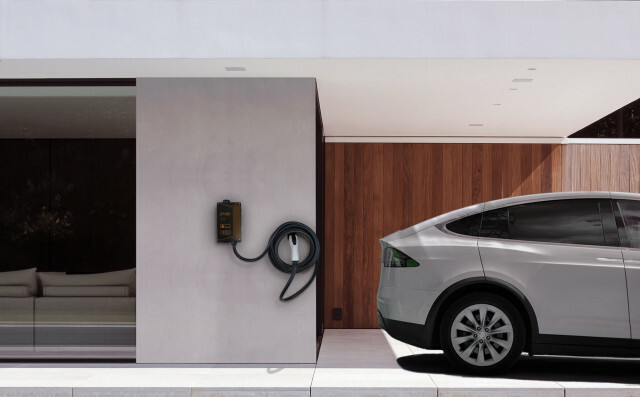 Tesla is marketing its new Wall Connector With 14-50 Plug as an alternative to the standard 110-volt charge-cord set. It sells for $500, the same as the hard-wired wall connector.